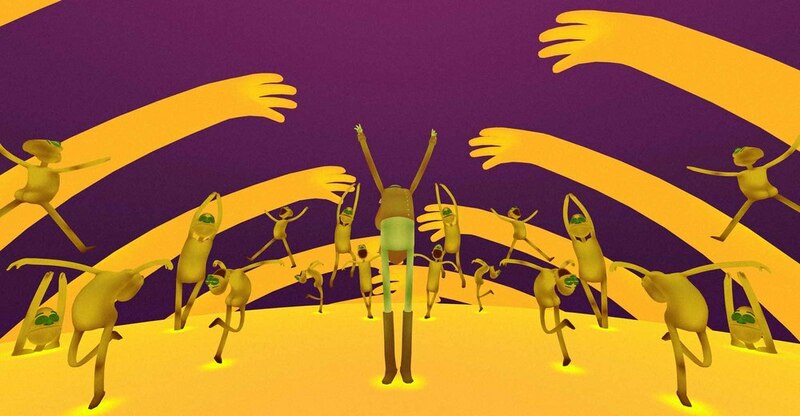 With this vibrant psychedelic dance party, visionary VR artist Tyler Hurd delivers a joyful animated music video for the track “Old Friend” by Future Islands. Everything I did on this project was just reaching down and trying to pull out this ridiculous joyous feeling. "I was listening to music while riding the subway in New York and whenever the song “Old Friend” by Future Islands would come on, I would envision this animation idea. The song brought out this amazing feeling I’ve shared with my friends at a lot of festivals, dance parties, and weddings over the years; everyone gets to a moment where they’re doing these stupid dance moves and trying to make each other laugh, having the best time, just being completely ridiculous and not worrying about how they look or what anyone thinks. It’s a beautiful feeling. That’s what I was hoping to create with this project. I realized that what I am most inspired by with VR is poking at people’s brains. Everything I did on this project was just reaching down and trying to pull out this ridiculous joyous feeling that comes from within. When I show the piece to people, most of them just end up smiling from ear to ear when they are in there." "Everything with VR is just getting started right now, so I’m trying to keep a very open mind about everything. I don’t think we can write any rules. We should keep trying new things and see what works for each situation. Now that I know I can make something impactful, I’m mostly excited about creating pieces that really affect people. I want to bring out emotions in a way that is powerful, but also kind of ambiguous." Tyler represents pure creativity. He’s a storyteller and VR will be the medium where he really shows the world what he’s all about. If Old Friend is any indication, we can not wait for it. "I hear so many people talking about VR as the future of storytelling and asking all these questions about how we can communicate plot points relating to traditional film. I guess I’m not really that interested in telling elaborate stories with VR. I’m more interested in experimenting with new ways to make people feel." 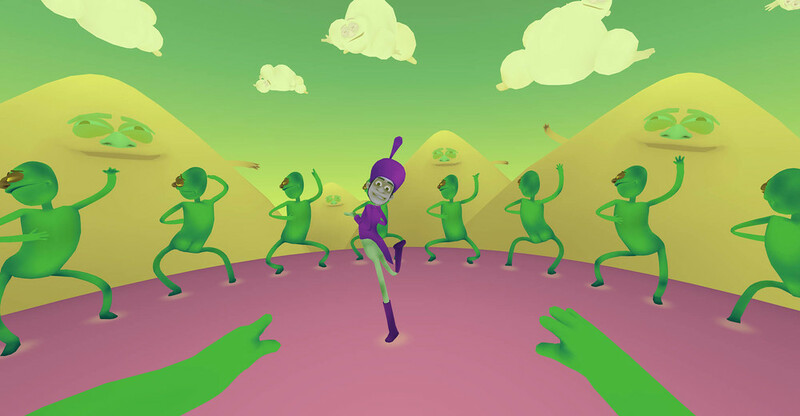 "We first became aware of Tyler Hurd through his independent VR piece, BUTTS. We loved his creativity and expressive characters, plus, it made everyone here smile. We asked Tyler what he wanted to do next and he told us about OLD FRIEND, which we agreed to become the studio for. That’s what we’re really trying to do at Wevr- find talented cutting edge creators like Tyler, and give them a platform to make VR. Tyler represents pure creativity. He’s a storyteller and VR will be the medium where he really shows the world what he’s all about. If Old Friend is any indication, we can not wait for it." 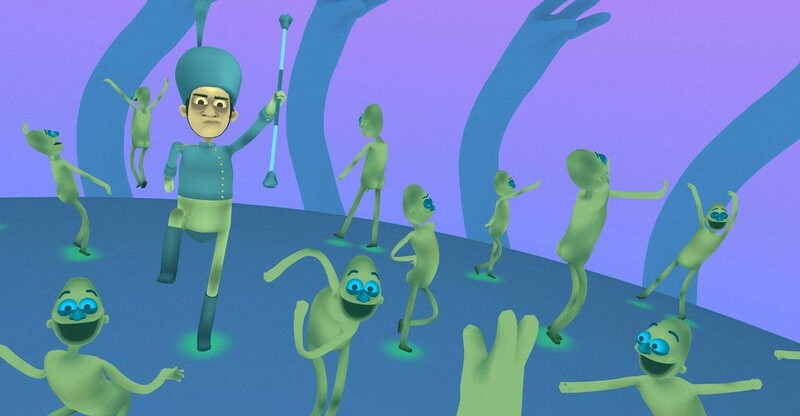 A long time 3D Animator and Tech Artist from San Francisco, Tyler Hurd is currently creating fun animated VR things. 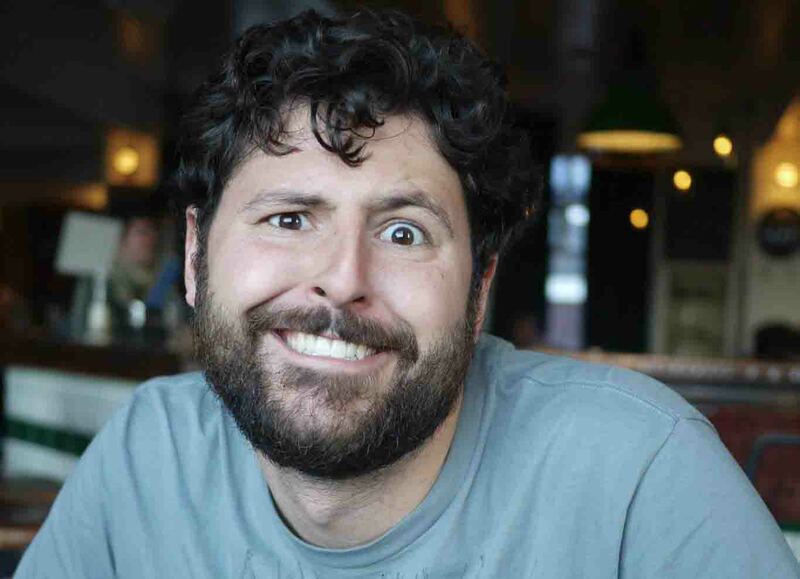 In 2014 he combined his knowledge of game engines and pipelines with non-interactive animation to enter the VR world with his short film BUTTS, and after seeing his little characters come alive in VR he was hooked. Since then his VR works have won awards and been featured at numerous festivals, with premieres at Tribeca and Sundance New Frontier. Tyler plans to continue to explore the powerful emotional response of VR, and the joyful affect of interacting with fun animated characters. 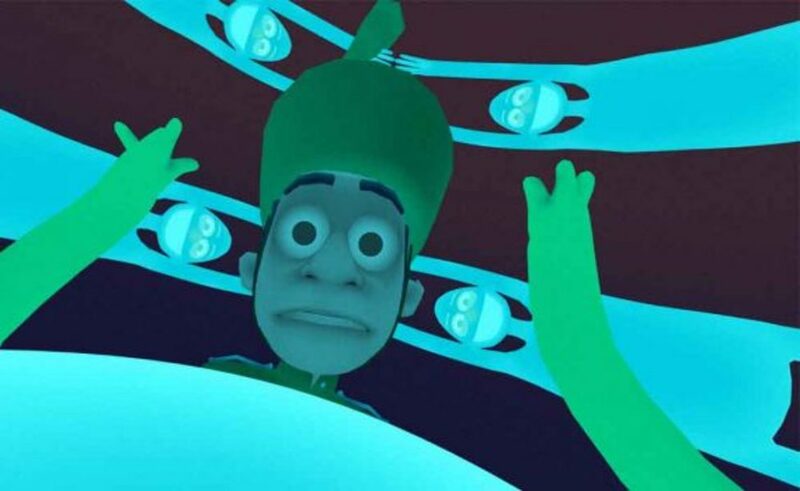 VRScout and Wevr are kicking off a Transport VR Creator Spotlight series with the premier of Old Friend, an animated VR music video by Tyler Hurd. Old Friend originally premiered for select audiences at the Kaleidoscope World Tour and Tribeca Film Festival. 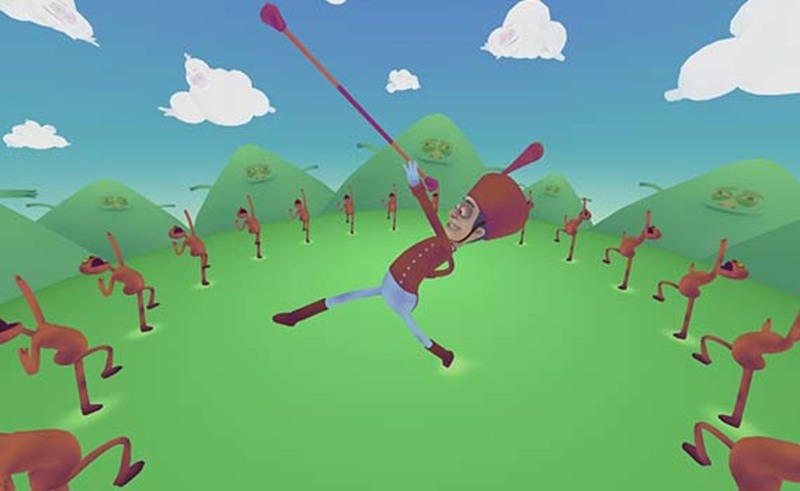 A preview of the experience with mixed reality. "The best example of VR’s potential so far." "There's nothing in virtual reality quite as rapturous as exiting Tyler Hurd's "Old Friend" for the first time. " "At a particularly VR-heavy Tribeca, it was one of the best things at the show." "Old Friend" put me in the center of a music video I never wanted to leave." "One of their crowning achievements is a video called Old Friend." "Wevr Launches Premium Transport Tier with ‘Old Friend’"